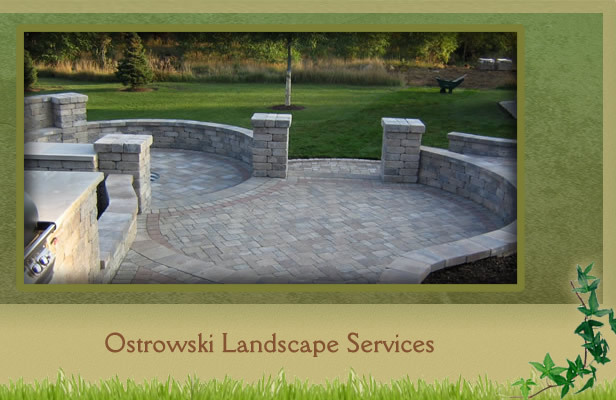 If your existing landscape seems dated or overgrown, let Ostrowski Landscaping & Lawn Care, LLC provide a fresh look. Perhaps you would like plantings to provide shade, add color, attract butterflies or camouflage not- very- attractive views. Paths and walkways can rejuvinate and enrich the shape of your lawn. From spring clean ups to weeding mulching or planting we can keep your property looking its best, all with friendly and reliable service. Need help pruning those out of reach branches? Has your front walk shifted and left you stumbling over the stones? Ostrowski Landscaping & Lawn Care, LLC can help. 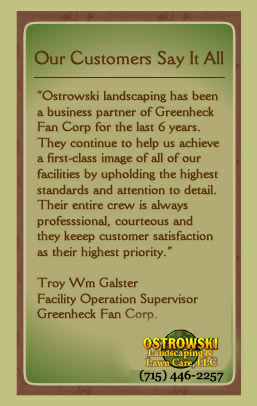 We also work to keep your lawn green and weed free. We can get to all those jobs that your busy schedule keeps you from. Call today and we can begin creating your dream landscape!